Truth is for kids, not just for adults! So The Ology gives kids of all ages a beginner's theology book to help them understand who God is and how we, as his children, relate to him. 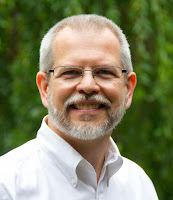 Arranged within a traditional systematic theological framework, each truth inThe Ology is also connected to the larger redemptive story of Scripture. The doctrine of God, for example, is presented in the larger framework of creation, where the attributes of God are more clearly on display. The Ology takes abstract theological concepts and makes them easier to understand with the use of creative examples, illustrations, and analogies. The goal is not to say everything that could be said about a theological topic, but rather to share the key thoughts behind a theological concept. The Ology is a starting point to learning theology and aims to create a hunger and desire in children to learn more as they grow older. 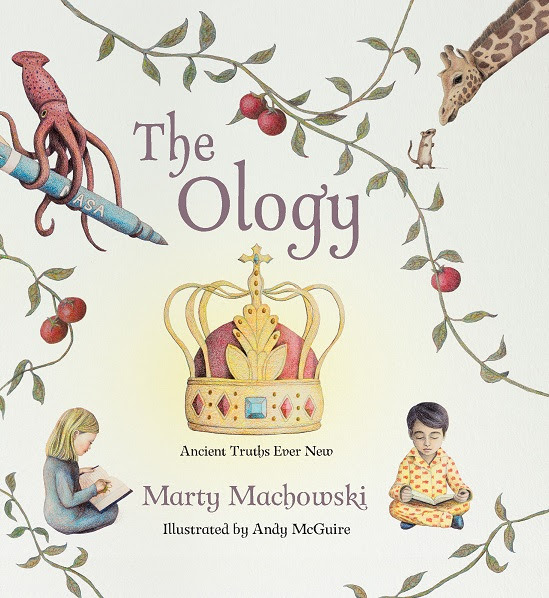 "The Ology" is a wonderful way to introduce God to children. This book is a Children's book, so it's geared for early elementary (6-9), but it's also good for upper elementary(10-12). I absolutely love the way this book uses everyday life analogies to help children understand the bigger picture. One of my favorite parts in this book is "God Is Three in One". 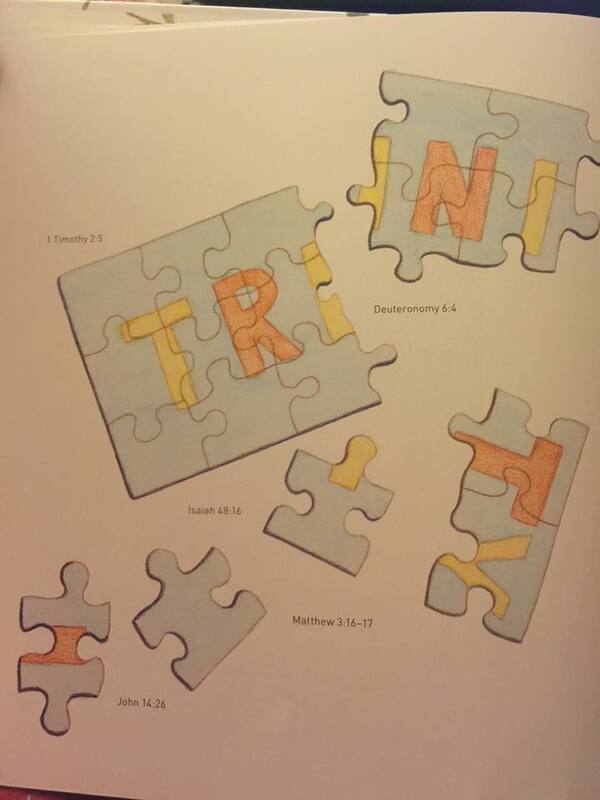 Our church was having a study on the Trinity, and how hard it is to comprehend. 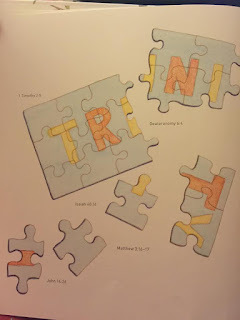 This book refers to the Trinity as a "jigsaw puzzle". It says "When you put together a jigsaw puzzle, You have to figure out how all the different pieces fit together to make a picture. God can e like that. The truths that the Bible tells us about God are a little bit like pieces of a puzzle. The more we learn about God, the clearer our picture of HIm will be,the more amazing He becomes to us, and the more we love him"
I love that there are plenty of Scripture for that specific story. 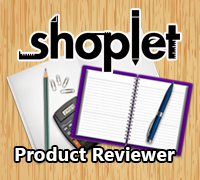 A great way for children to learn their Bible verses. Since we homeschool we COULD use this as a Bible curriculum, but since we already have that through the school we go through, we may add this in with what we already have.